In case you were wondering why we didn’t hear much about the next Surface Pro generation until just last week, it probably wasn’t because Microsoft did such a tremendous job keeping leaks in check. Instead, there simply wasn’t a lot to leak, as suggested by images depicting a Surface Pro 6 retail unit that looked pretty much identical to last year’s variant. A rock-solid insider then claimed the new model would come at the same price as its predecessor with marginally “updated” hardware, and now, Roland Quandt is here to elaborate for WinFuture. If Quandt’s inside information is accurate (and it almost always is), the biggest change to be introduced by the Surface Pro 6 and Surface Laptop 2 tomorrow is... a new color. Any cosmetic revision beats no cosmetic revision, of course, and a black Surface Pro sounds especially charming, but what’s up with Microsoft resisting the transition to USB-C for another year? 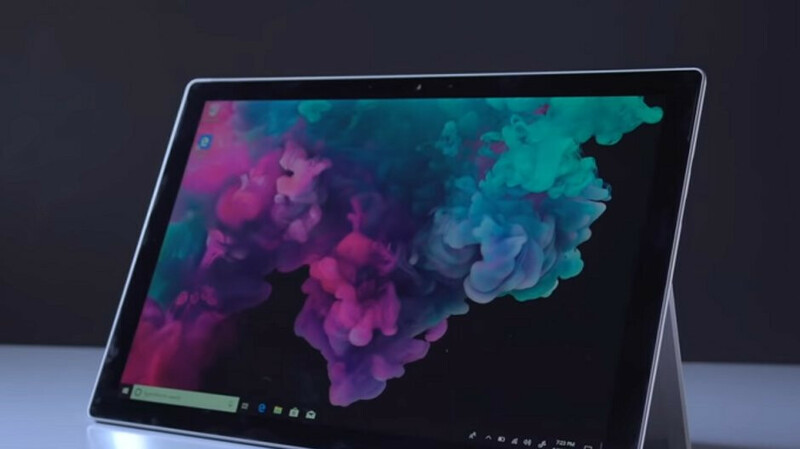 That’s right, the sixth-generation Surface Pro is expected to stick to an irksome Mini DisplayPort/USB-A connector combination, unlike even the entry-level, ultra-affordable Surface Go, which comes with a modern USB Type-C port. As far as black models are concerned, the new paint job will apparently be reserved for higher-end, higher-priced configurations of both the Surface Pro 6 and Laptop 2. As usual, the former device is tipped to pack a modest Intel Core M processor at its lowest price point ($799), upgrading the 4GB RAM to a full 8 gigs for Core i5 and Core i7 versions naturally escalated to Intel’s eight-gen chips. On the software side of things, Windows 10 will be pre-installed in S Mode, with buyers offered the choice to upgrade for free to a full Home experience. No Windows 10 Professional option. Obviously, there’s still a possibility Microsoft will surprise us somehow at tomorrow’s Surface launch event, but we definitely wouldn’t hold our breath.